Number 1: Network with colleagues! What can you find out by networking? Who’s good? Who’s reliable? Who’s new? 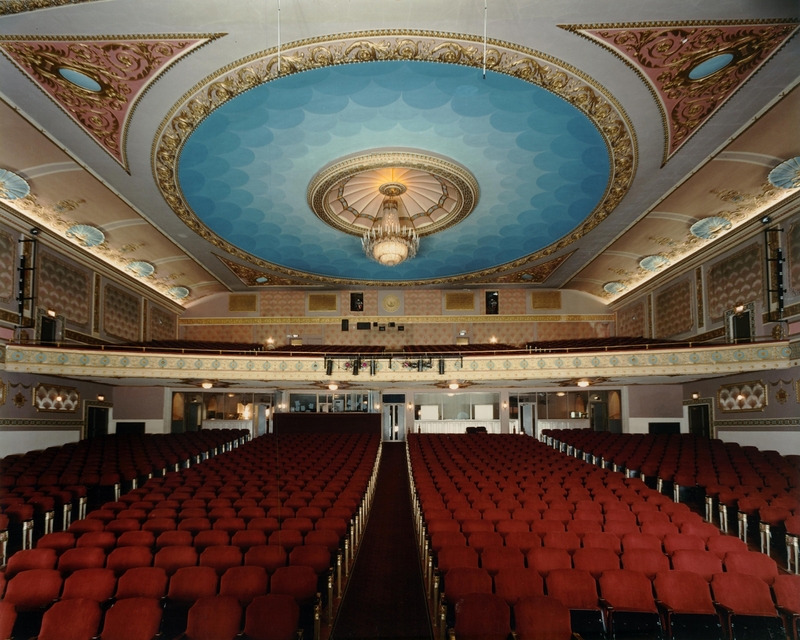 Number 2: Enjoy 24 dedicated juried showcases by top performing artists in the historic Victoria Theatre that will inspire you throughout the conference. Number 3: Engage in Block Booking opportunities. 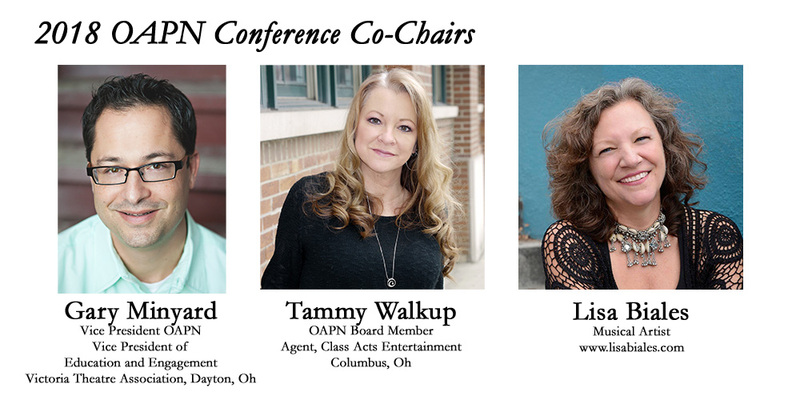 The 2018 OAPN conference will end with a Block Booking roundtable. Number 4: The OAPN Exhibit Hall will be in a new, fun and creative exhibit space inside the beautiful Schuster Center’s Wintergarden, lending itself to real conversations with agents and artists. Number 5: Stay connected to National and State trends in presenting. Number 6: Conference activities will take place in the state-of-the-art Schuster Center, showcases at the historic Victoria Theatre, and professional development workshops in the brand new Arts Annex. Number 7: One-On-One Meetings for a new perspective on networking. Sign your venue up for a free table at our one-on-one session with artists, agents and other presenters. Learn from peers, share your wisdom, build relationships, find out who has ideas for your season. Number 8: Attend our Professional Development Workshop: “Contracts, Riders & Money, Oh My!” with Larry Kosson, and Robin Spielberg of Kosson Talent agency. Number 9: Be inspired by Keynote speaker Rodney Veal, who hosts the Emmy Award-winning “The Art Show” on Think TV. Number 10: It’s Affordable - The very best talent in a comfortable, affordable environment that supports your networking needs. Welcome to the new OAPN! Our new and re-energized board has put together a wonderful three days of conference activities that reflect our dedication to all professionals in our field. Below are recommendations to help you get the most out of OAPN 2018. 4. Participate in the One-on-One Meetings (you’ll be assigned a table) and share your expertise Monday 9-11 a.m.
6. Be present at the Block Booking Meeting on Tuesday 6:30-8 p.m.
4. Participate in the One-on-One Meetings (you’ll have the opportunity to sign up for 5-minute sessions with presenter attendees) Monday 9-11 a.m.
Be polite, decent, courteous, and respectful of each other’s territories. Comply with conference regulations regarding booth layout and audio-visual usage to allow full view of neighboring exhibits. Respect neutral space in which attendees may circulate freely without aggressive solicitation. Be respectful and avoid the interruption of meetings among colleagues, in the exhibit hall, booth, or elsewhere. Managers should be judicious when contacting presenters prior to a conference. Keep digital marketing campaigns relevant and targeted to respect our presenting colleagues. Avoid numerous, repetitive e-blasts to the entire attendee list without discrimination or segmentation.